Please see information inside about our P.A.S.O.S Parent workshops coming up soon! Rembrandt Secondary DECA students receive finalist awards and recognition during their State Competition. 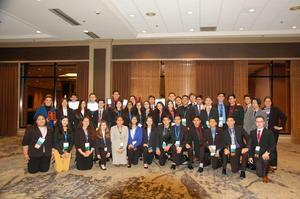 Texas DECA State Career Development Conference held in Dallas, February 20th to the 22nd. During this conference Rembrandt Secondary DECA members had the opportunity to show off their skill in the areas of Business, Marketing, Finance, Hospitality and Management. Click here to see the awards received. Mozart Secondary Students earn many awards from the TAME Competition! - Advance to State! On Saturday February 23rd, Vanguard Mozart Secondary participated in this years Texas Alliance for Minorities in Engineering (TAME) competition at the University of Texas Rio Grande Valley Edinburg Campus. Our students managed to greatly perform in the competition’s three categories, Math exam, Science exam, and the Engineering Design Challenge. Message from our Superintendent Dr. Garcia regarding Washington D.C. meeting with lawmakers. Our Superintendent Dr. N. Garcia will attended the fourth annual School Leaders of Color Capitol Hill Action Initiative in Washington D.C on February 25th to 26th. He and other leaders of education met with Senators and Representatives to advocate for Charter Schools. Please click read more to access the message. Our students participated in various information technology competitions where they obtained the top spots and will advance to state. 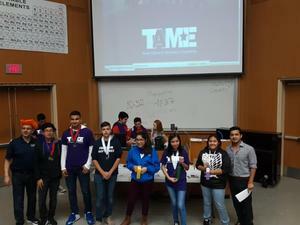 The regional competition was held at TSTC Harlingen on February 8th 2019. 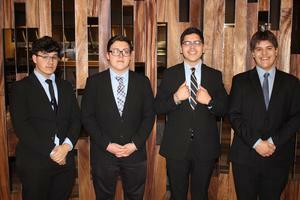 The students will compete at the State event on April 7th at Corpus Christi. Please read more for details! 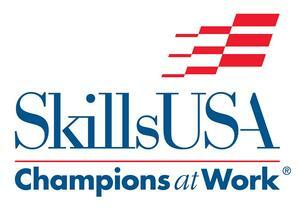 Vanguard Rembrandt Secondary Criminal Justice students competed in their first ever SkillsUSA TX District Leadership and Skills Conference where they obtained 1st and 3rd place which advances them to state!!! 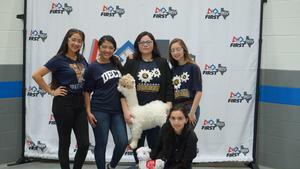 Team #13107 was 1st runner up for the RGV connect award which has guaranteed them advancement to the State Championship! Please read more for the full details. Beethoven Elementary and Middle School Compete in UIL for the first time! Beethoven Elementary and Middle School teamed up to make history at Vanguard Academy in 2019 school year as they competed in their first UIL District competition in Santa Rosa on February 9th! 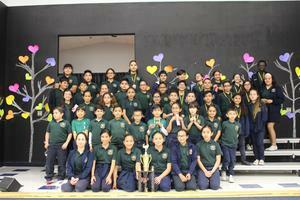 Vanguard Elementaries Brings Home Gold from Various UIL Competitions! Rembrandt, Mozart, and Picasso UIL teams participated on their competition held Feb 9th at the Elma E. Barrera school in Santa Rosa where many students obtained medals and awards.